In today's world of business, technology has made great strides in every facet of how a company communicates, operates, sells and expands. In as much as it might make running businesses easier, it also poses a great risk to business owners. Doing business online is quick and efficient, but if a business owner is not well informed about the risks associated with e-commerce, it can create a lot of damage to the business. Businesses are now faced with a very great danger which is posed by hackers and fraudsters. The recent increased use of debit and credit cards in business has opened a highway for fraudsters to take control of company accounts and make unnecessary purchases and create bills which the owner of the business is not even aware of. It has made businesses lose billions in revenue by paying for purchases or bills they never got involved in. Therefore, it is very crucial for any business owner with credit cards to stay on high alert when it comes to usage of their business credit cards. Unfortunately, though, not all business owners have the capacity to recognize whether their credit card has been abused or not. 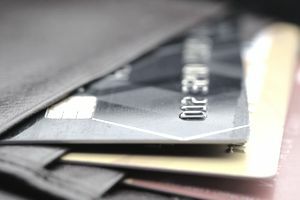 Today, we would like to highlight the ten warning signs of company credit card abuse and what actions should the business owner take to prevent any further damage that might be caused. It is one of the most common signs that your credit card is being used by a third party without your consent. Whenever you obtain your credit card statement either monthly, after three months or whichever time period depending on your credit card issuer, it is very advisable for you to go through the statement and scrutinize every transaction with keenness and thoroughness. In case you detect some errors on your statement, do not just assume that they are errors committed by the credit card issuer. Thinking like this could mislead you and cause further damage in the future. Once you recognize that your credit card statement has an error such as an unauthorized purchase or any electronic transaction, that is a red flag that the credit card for your company has been abused. When this happens, contact your credit card issuer immediately and report the problem for further investigation. You are also advised to change your passwords as soon as you call the card’s issuer to prevent further damage. According to many identity theft awareness companies, once a fraudster obtains your company’s credit card information they will go ahead and first make an inquiry about your credit. Secondly, most of them will also open new accounts using your company’s card. The good thing is that if they have not changed your email, your credit report will reveal all this information. When your credit report becomes available to you, take your time and thoroughly examine if the report has these signs. If there is a new account or a credit inquiry you did not make, immediately contact either the credit reporting agency which issues you with the credit report as well as talk to the credit card company for further action. When contacting the business credit reporting agencies, be specific on which accounts are fraudulent. You may also go ahead and raise a fraud alert on your account or even create a credit freeze on your account. It is also another warning sign that indeed a fraudster is using your account without your knowledge. Many credit card companies tend to track what a specific company does with its credit cards and whenever there is a change in trend in terms of transactions, the card issuer could flag your account to alert you that there could be something wrong or rather an irregularity in your account. When this happens, you should first of all request an emergency credit report from any credit bureau and see whether there have been transactions that your company’s credit card has been used for without your knowledge. When this happens, it would be so helpful for you to contact the card issuer immediately to ensure that no further transactions are allowed from your credit card. It is what is called a credit freeze. Investigations will then be done to find out whether the account has been hacked. The company will, therefore, go ahead and block the card so that no further transactions can be done by the fraudster. At times some strange calls can keep coming from different people especially from the debt collection agencies asking for their money. The bad thing is that as the business owner, you have no clue what these debts are about and you don't know when your business incurred these debts. Whenever such an issue arises in the course of running your business, it would be good to first ask for proof of the debt. You may send a verification letter to the debt collector inquiring what the debt is about when it came about as well as other details that might help you to the bottom of what happened. If you think that you are not responsible for the debt, go ahead and dispute the debt and later file an identity theft report to the relevant authorities for further investigations. It would also be good for you to ask for a credit report from the credit bureaus to ascertain that there are no fraudulent accounts that have been opened. It is common for your business that the cardholder gets notifications about any transactions or any information related to your credit card account. It should happen so often to enable you to keep track and close tabs of your account. However, there could reach a time when the emails are not coming into your inbox yet, and you are doing different transactions with the credit card. It is an automatic red flag that somebody else has changed the information of the company’s credit card. Instead of you getting the emails, the emails have been redirected to the fraudster’s email. When this happens, we would advise that you contact the card issuer and the post office before the payments are due for further action. If you delay, you might end up paying for bills that were never incurred by your company. Fraudsters don't care if their actions land you in financial problems which could put your company at the mercy of creditors. When a credit card fraudster gets hold of your credit card details, they might go ahead and keep in touch with your creditors asking for more goods on credit with the promise to pay off the debt within a certain time duration. It could catch you by surprise when you review your credit report. Your company’s credit card bill could come with very unfamiliar transactions that you didn’t even authorize. It can be done in two ways, a fraudster using a fake card or going online and using your credit card number. Once you realize something like this has happened, contact your company’s card issuer as well as the creditor to write off the transactions. Once this is done, you are also supposed to check your credit report and make sure that the fraudster did not open any new accounts. Usually, credit reports contain both soft as well as hard inquiries. Soft inquiries are inquiries made for promotional purposes by creditors while hard inquiries are inquiries that were made by you or an identity thief. When your credit report contains hard inquiries, it is a warning sign that somebody else has been asking for credit in your name. It is a true revelation that someone else has the details of your credit card and so has been logging in to your account and doing transactions without your knowledge. If you spot such inquiries on your credit report, it would be good for you to put a fraud alert on your credit card and warn any business not to authorize any transaction unless you fully verify it. Every business will have to wait for your company to confirm the credit products asked for otherwise, they should ignore the inquiries. After this is done, it would be vital for you to ask for a business credit report of your company to see if there are other signs of fraudulent related to your account. Sometimes we get business credit reports after let’s say a period of three months or so, and when this happens, many of us tend to assume that all things are normal and therefore do not take time to examine the details of the report. It is a very wrong move a business owner should not take. This is because ignorance can ruin your business. Many businesses have collapsed simply because the business owners ignored what the credit history report contained. Whenever you get a credit report be very careful and open your eyes to detect any bogus accounts that you never opened. When such accounts are detected, you should know that a fraudster has been using your company’s credit card account for their own good. Once you recognize that there are bogus accounts related to your account, you should contact the credit bureaus immediately and inform them about which accounts in your report are fraudulent. You should also freeze your account until all the investigations are done, and the fraudster is restricted and no longer able to access your account. When running a company, most of the times many entrepreneurs do deal with particular creditors only and not every creditor in the market who purports to offer credit to businesses. When you are fully aware of your creditors, then it would be a plus for you when it comes to the interpretation of your credit report. If your credit report contains bills which are pending to be paid from unknown creditors or creditors you are not familiar with, then this should tell you that somebody somewhere, in this case, a fraudster, has been using your company’s credit card to ask for goods from other creditors not affiliated with your company. When this happens, it would be good for you to report this to the creditors in the illegal transactions and inform that they should not allow or rather give out products to any account bearing your account’s name. Secondly, it is advisable for you to reach out to the company’s credit card issuer for the relevant steps to be taken and ensure that your account is secured once more. These measures will make sure that the credit card your company uses is only meant for the authorized business deals only. Most business owners try so hard to ensure that the credit of their companies is strong enough for easy loan approvals. However, if your application for a loan or a new business credit card is being denied you could be left wondering what went wrong. Unfortunately, this may be the time that you find out that your credit profile has been compromised. With compromised credit and a low credit rating due to no fault of your own, it would be difficult for you to be given another single card. It is why it's essential to always monitor your personal and business credit reports on a consistent basis.